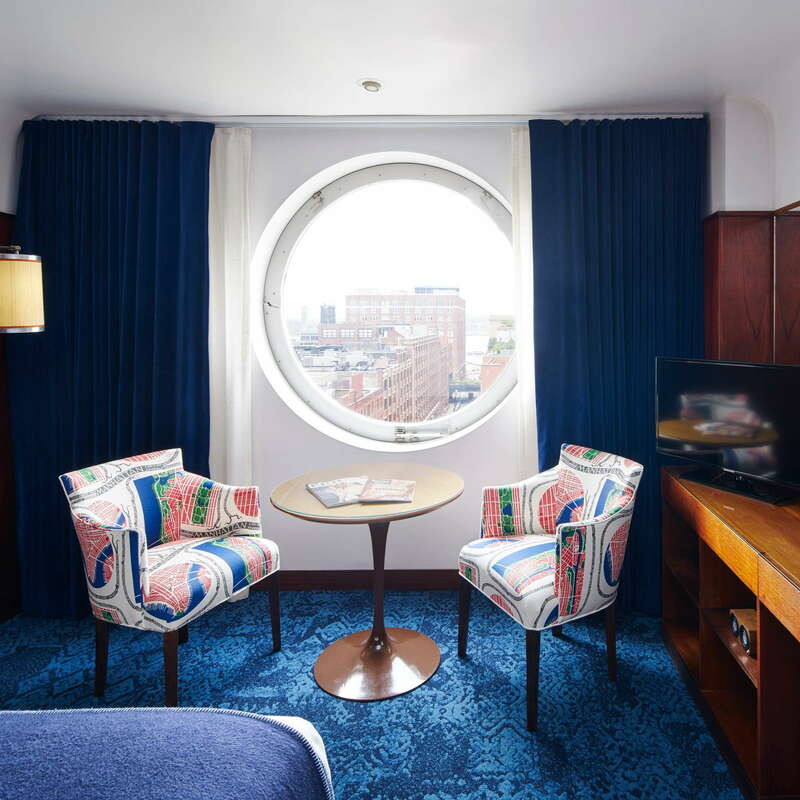 The Maritime’s white-ceramic tower, the former HQ for the National Maritime Union, was the first luxury hotel to be opened in the Chelsea gallery district. 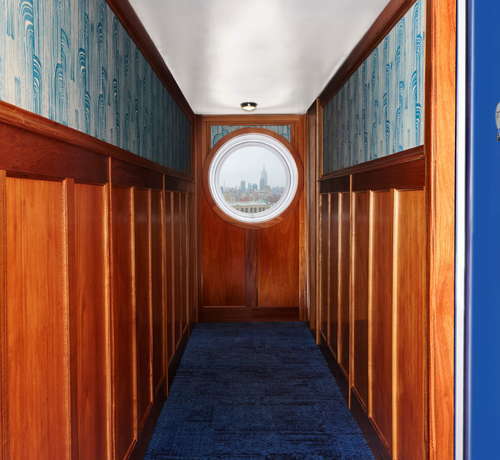 The property still feels a bit nautical with details like the small rooms that resemble modern ship cabins. 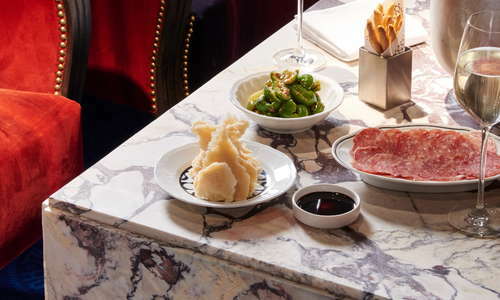 A recent addition is the first new restaurant—La Sirena—from Chef Mario Batali in almost a decade. 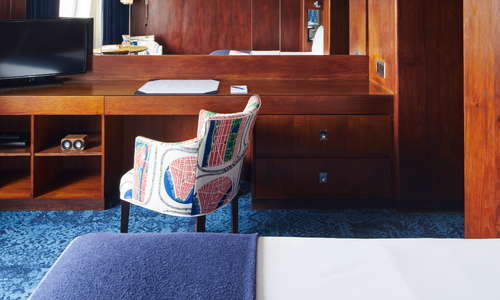 With burnished teak paneling and sea-blue drapes, the small rooms take inspiration from the hotel’s maritime theme. 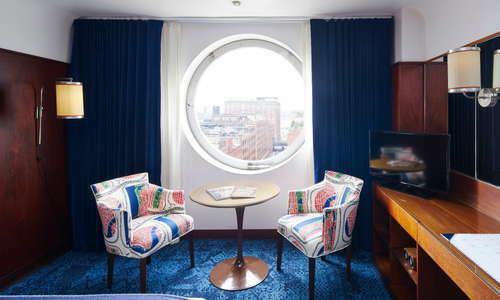 Big porthole-style windows that face the Hudson River complete the ship-cabin feel. The penthouses are splurge-worthy, with fun amenities including fireplaces, big terraces with rain showers, and large soaking tubs. 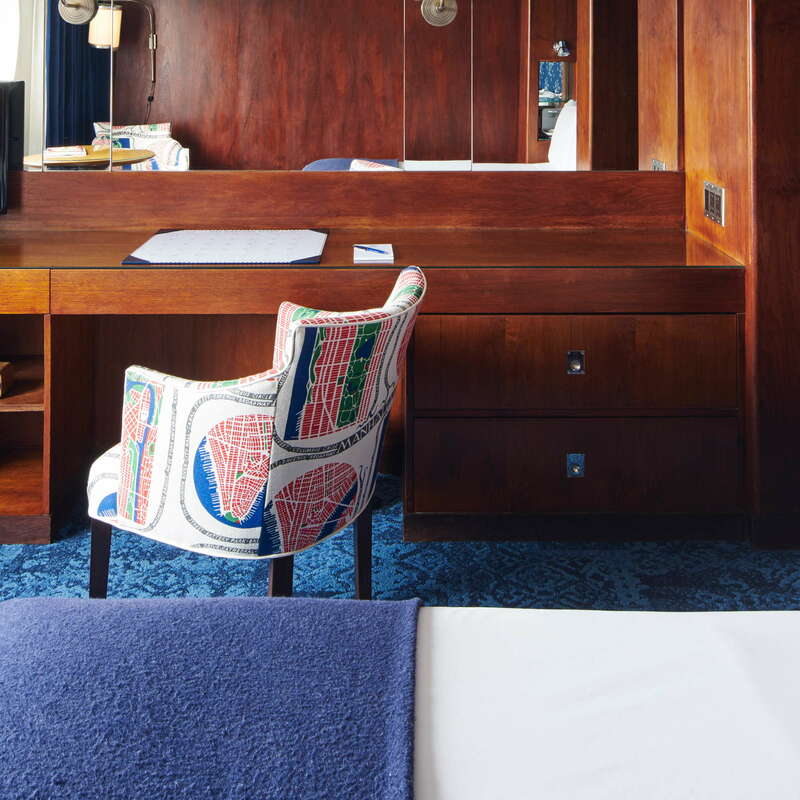 You'll feel like the classiest sea captain. YOU SHOULD KNOW Some rooms experience street noise. 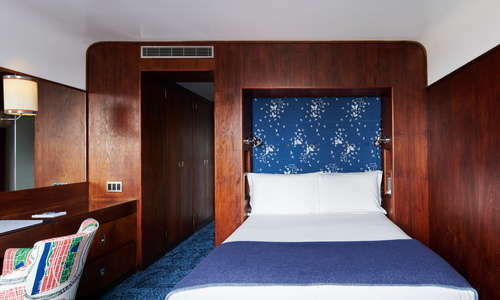 If you’re a light sleeper, ask for a quiet room. Aquamarine tile and grey marble decorate the bathrooms, complete with C. O. Bigelow bath products and powerful rain showers. 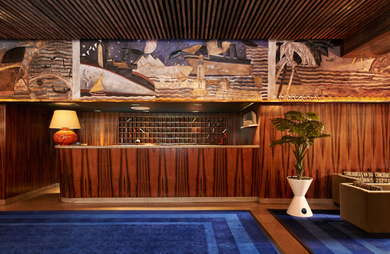 Maritime-inspired murals, more teak paneling, and royal blue rugs decorate the spacious lobby. A high ceiling, potted plants, and comfy couches make it an attractive place to relax. 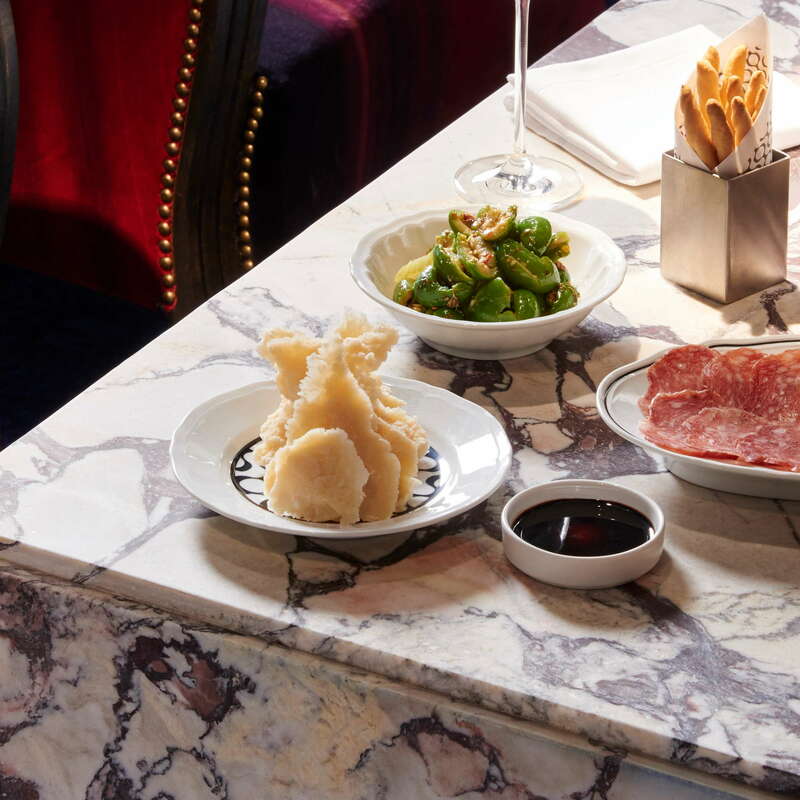 New Yorkers and hotel guests rub elbows at La Sirena, an Italian restaurant from Chef Mario Batali and partner Joe Bastianich. 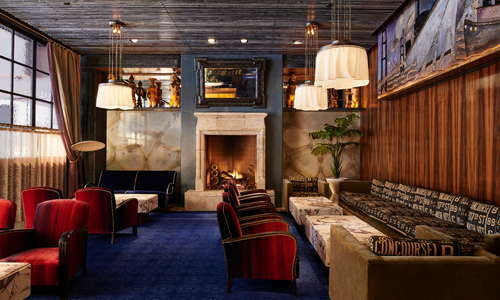 There are two distinct spaces: the barroom, with a long marble bar where tapas and cocktails are served, and the more formal dining room where multi-course meals are served. The hotel is also home to Tao Downtown, a trendy Asian restaurant with good cocktails. 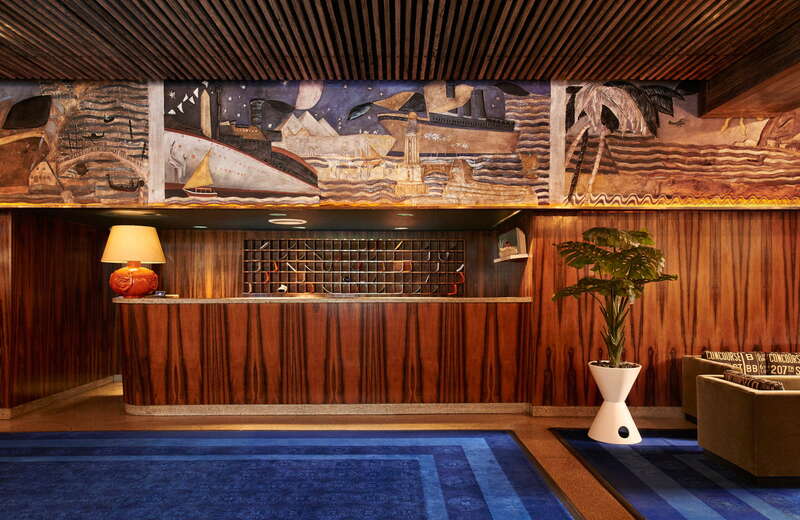 Located in Chelsea, this hotel is in a convenient spot for exploring on foot. The sights of midtown are within reach, as are the quiet neighborhoods of lower Manhattan including the West Village and Greenwich Village. The subway is nearby with the A, C, E, and L trains at 14th Street and the 1 train at 18th Street. Taxis and Uber are plentiful in the area (though can be hard to come by late night when bars close and the streets are full of people looking for a ride home). A snack or quick meal is never far away from the hotel with Chelsea Market (1-minute walk) across the street. You can get quality coffee, pastries, gelato, sandwiches, tacos, and pretty much everything else here. Mediterranean fare is served in a minimal dining room at Bar Bolonat (7-minute walk), a relaxed restaurant from Chef Einat Admony of Balaboosta notoriety. Of all the much-praised burgers in New York, one of the most simple and satisfying comes from Corner Bistro (9-minute walk); expect a little bit of a line and have a beer while you wait for a seat in the tiny back dining room. Anfora (9-minute walk) is a cozy wine bar that manages to push boundaries without coming off as pretentious. For a beer at an unfussy pub, walk over to the Brass Monkey (7-minute walk). During the warm months, keep climbing the stairs--there's a small rooftop for outdoor drinking. 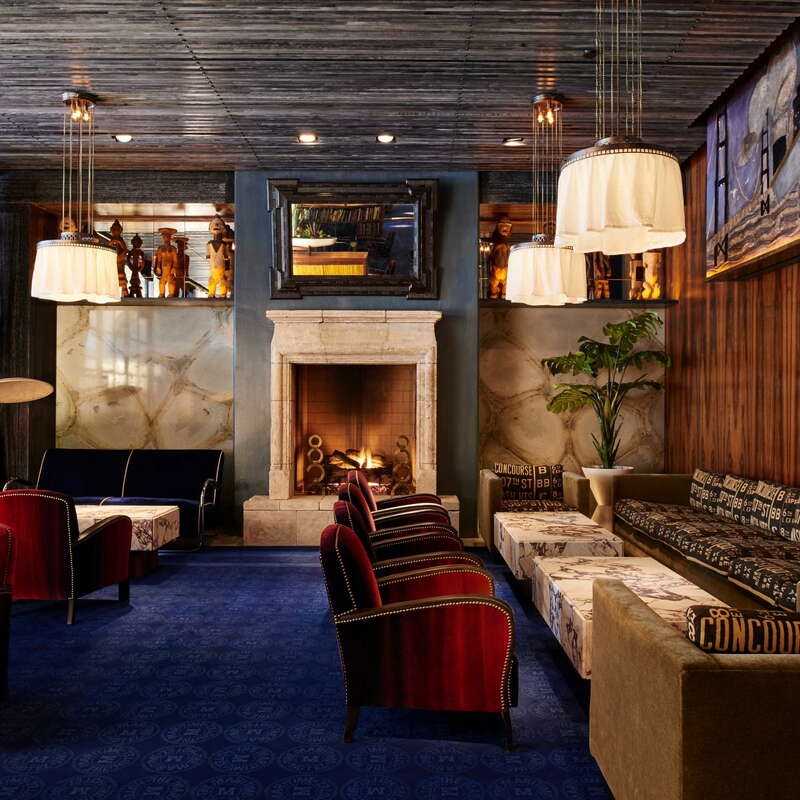 We love the location on the border of Chelsea, the Meatpacking District, and the West Village near excellent restaurants, shopping, and galleries. 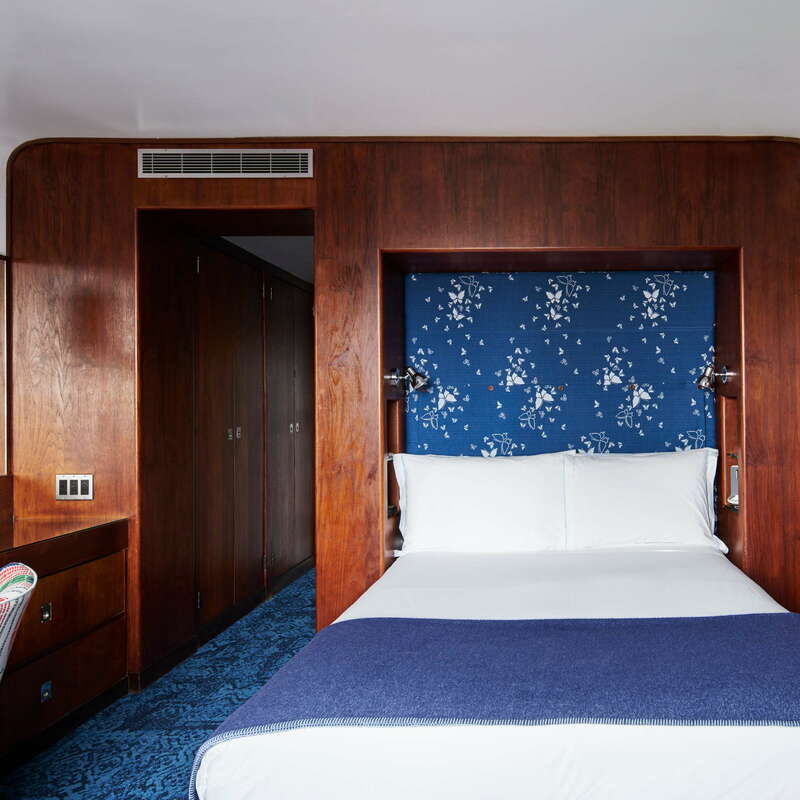 This property stands out for its dynamite on-site restaurant, sleek and functional rooms, and complimentary bike rentals.